Motorola introduced the Droid Turbo 2 in the US in October this year. The company recently revealed that the Droid Turbo 2 would be launched in international markets as the Moto X Force. Now the company’s General Manager for India, Amit Boni, has confirmed that the Moto X Force will be launched in the country in January 2016 in an interview with IBNLive. 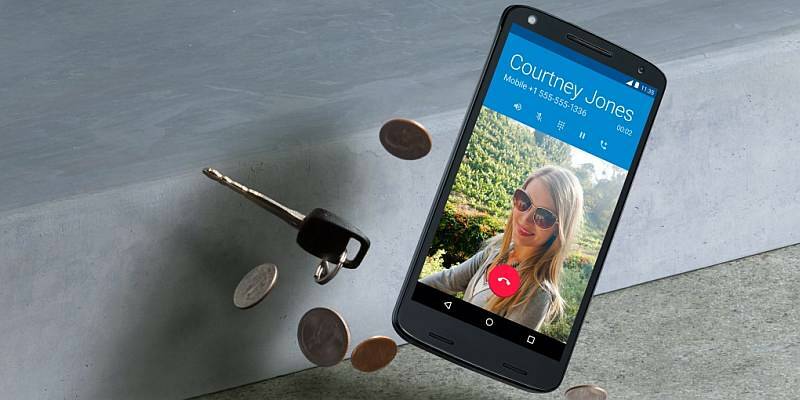 The Moto X Force’s main highlight is its shatterproof display. Boni said that the Moto X Force uses the Moto ShatterShield display technology found on the Droid Turbo 2 smartphone, which is exclusive to the US. The brand’s five layer ShatterShield technology includes a flexible AMOLED display, and dual-layer touchscreen panels. As per the brand, the screen of the phone won’t break even when dropped on a slab of concrete. The handset also gets a four-year shatterproof display warranty. The Moto X Force is made of an aluminium rigid core and gets a water-repellant nano-coating as well. Coming to the specs, the device comes with a 5.4-inch quad-HD display, and is backed by a 2.0GHz octa-core Qualcomm Snapdragon 810 processor, aided by an Adreno 430 GPU and 3GB of RAM. The phone comes with a 21MP primary snapper with a dual-tone LED flash, 4K recording, and a 5MP front shooter with an LED flash and 87-degree wide-angle lens. The phone offers up to 64GB of expandable memory, 4G LTE, NFC, dual-band Wi-Fi, and a 3,760mAh battery with Turbo and Qi wireless charging support. The smartphone is expected to be priced in the Rs 40,000-Rs 50,000 range in India. Meanwhile, the brand is all set to launch the Moto G Turbo edition in India tomorrow.